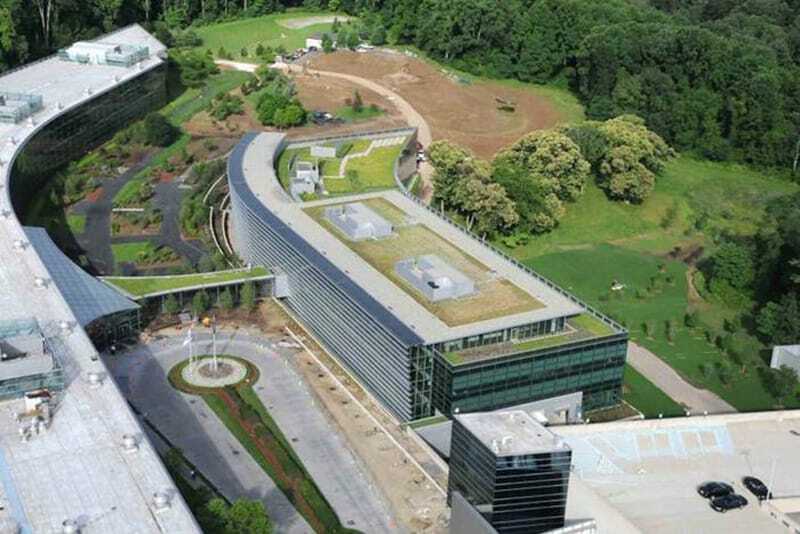 Exceeding client expectations, Gilbane has served as the construction manager for the expansion and the original SAP headquarters project. Designed by FXFowle of New York, the expansion consisted of a new 227,522-square-foot office building. 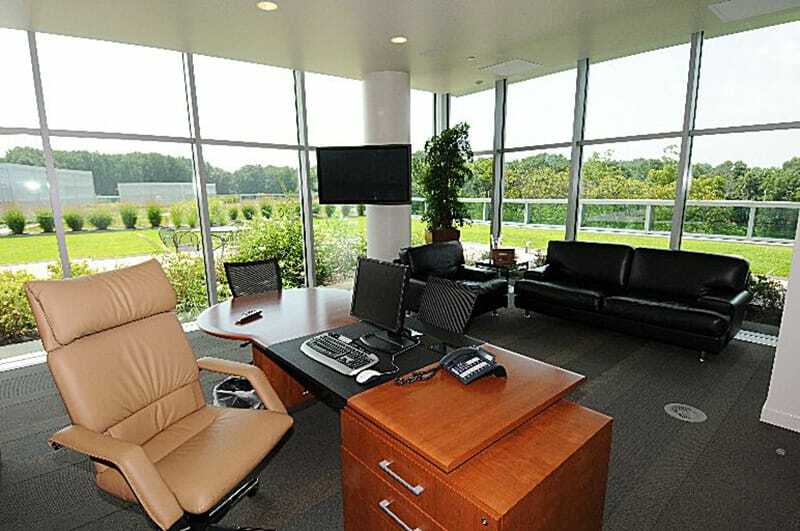 The building features included additional office, meeting, conference, and amenity space for over 1,500 employees. 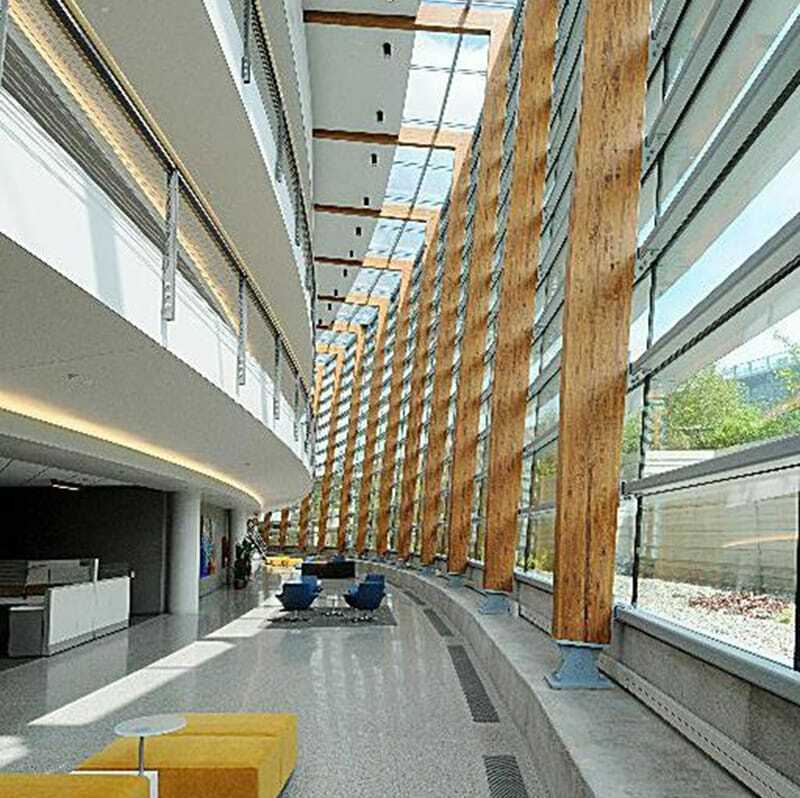 It also connects to the existing building, a 325-car parking garage addition, and a 300-foot canopy from the garage to the office building. 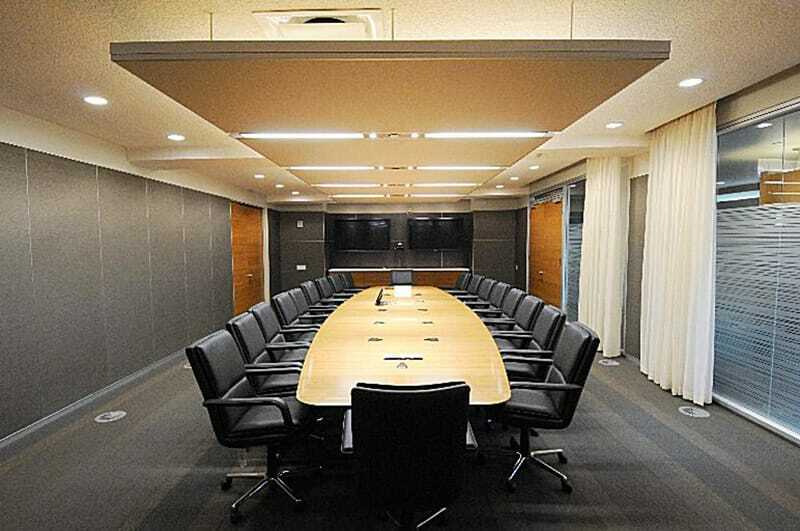 Client Name: SAP America Inc.
Gilbane incorporated the sustainable building into the existing SAP Headquarters site and blended the new facility into the existing landscape. Great care was taken to preserve old growth chestnut trees on the site with protection throughout the duration of construction. Ten trees in the new facility’s footprint were harvested for sustainable re-use within the new building. They were milled and fabricated into 500 linear feet of railing cap for the spline rail that all employees would be in contact with on a daily basis. At the end of the project, 87% of construction waste was recycled.